Flat-panel TVs deliver a great picture, but few deliver audio to match. In fact, as TVs got thinner, TV sound has actually gotten worse. Luckily, whether you want more immersive, powerful sound or simply clearer dialogue, there are several available speaker solutions to meet your needs. The options stretch from easy-to-install soundbars to more complicated setups with powered speakers and home-theater-in-a-box systems. Our detailed guide will clearly set out all your options to get the best sound for your TV. A soundbar is the most common type of supplementary sound solution. Soundbars are the easiest devices to connect to your TV because they require very few cables. They are available with or without subwoofers for enhanced bass, and some even come with satellite speakers for true surround sound. Along with easy installation, soundbars look handsome beneath your TV, whether on an entertainment stand or mounted to the wall. Simple bars like the AmazonBasics SB210 offer decent two-channel sound for under $100, or you could spend upward of $1,000 or more for a Dolby Atmos soundbar for a powerful cinematic experience. Much less prominent today than at their peak a few years ago, soundbases arose as a more singular solution for improved bass — without the need for a separate subwoofer. 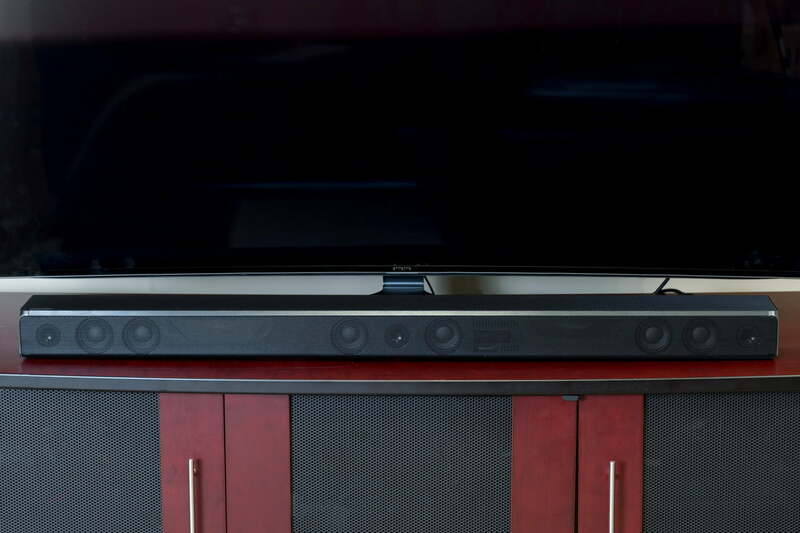 A platform-style speaker meant to fit beneath a TV or act as the TV’s stand, soundbases provide a good amount of bass, since there’s more room within their cabinet, and you can add a subwoofer to some models for even heavier-hitting sound. Since soundbases tend to be narrower, they offer less stereo separation than many soundbars, and with the rise in popularity of larger TVs that need a broader stand, they’ve fallen out of favor with some major audio brands. Still, if you have a smaller TV screen (40-inches or so), a soundbase could be a good option. If you want a little more audio punch and better stereo separation, powered speakers are a great way to go. Powered (or active) speakers, sometimes branded as computer speakers or multimedia speakers, are self-amplified speakers that may require a bit more wiring to connect than soundbars and soundbases, but the payoff could be worth it. 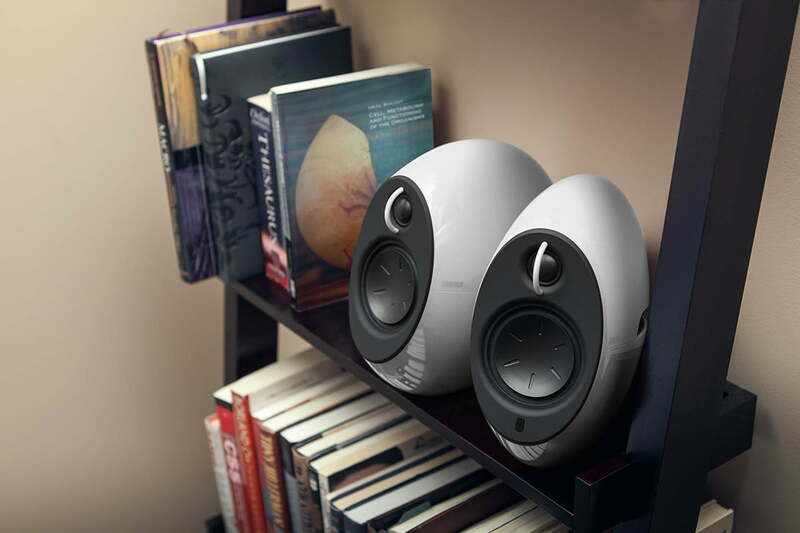 Typical powered speaker arrangements range from two-speaker solutions to full surround sound systems. Generally, you get what you pay for in this category, and the bigger and more expensive the speaker, the bigger the sound. Prices range from $200 on the low end to audiophile solutions like KEF’s $2,200 LS50 Wireless, which also offer subwoofer connection for impressively powerful performance. The last option we’ll cover is a compact home theater system. You may not have a multi-thousand dollar home theater, but that doesn’t mean you can’t have similar sound quality. 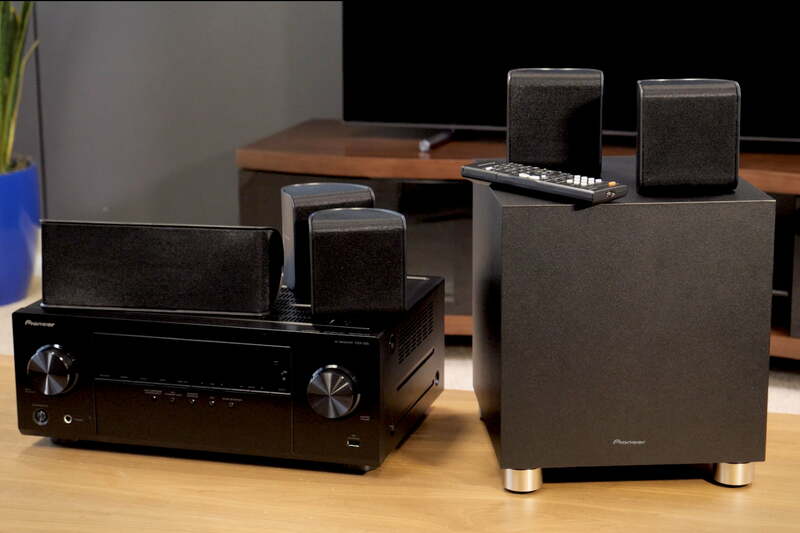 Compact home theater systems usually comprise a set of speakers and a separate, compact amplifier. Sometimes called home theater in a box (HTIB), these systems offer big, immersive sound at an affordable price. You’ll probably have to buy the speaker wire if they aren’t included, and be prepared to take a little more time with installation. This video tutorial featured the AmazonBasics SB210 soundbar, the Samsung HW-K950/ZA soundbar, the Sonos Playbase, the Onkyo HT-S5800 Home Theater Package, the Edifier Luna Eclipse speakers, and the Yamaha YAS-706 soundbar.